Kingston striker Ben Spencer saved the day, scoring the equaliser for Kingston a few minutes before the final whistle was blown. It was an action packed game between Kingston and Brighton, ending with a total of 10 goals. “We have a lot to work on, tactically and skill wise, but I think we wanted more than they did today. I think that is why we came out with a good draw,” he said. Kingston Cougars was promoted to BUCS league South Eastern 2A after winning their previous league last season. Considering this is the first game at a level this high, the result is impressive. Kingston kept the goals at bay with a strong defense, with Kingston’s Sebastian Stoner blocking the Brighton attackers from scoring again and again. Captain Tom Banner led the rest of the team in the right direction. 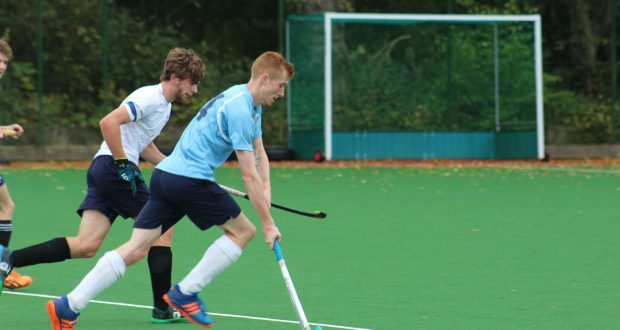 “I thought one of our freshers, Seb Stoner, stepped up really well. He would be my man of the match. He was incredible, he showed desire and was up and down the pitch. I have no idea how he ran that far,” Tom Banner said. It started off badly for the Cougars with Brighton’s Rannoch Foster scoring early on, but Kingston’s Elliot Bullman quickly equalised to 1-1. Spencer had a good day, scoring Kingston’s second goal, leading them to half-time with a 2-1 lead. The second half had a quick start with Brighton’s captain Harrison Hubard scoring, shortly followed by Spencer getting the lead yet again, 3-2. Few minutes later Brighton’s Matt Dentford equalised and later Ben Collin took the visitors up to a 4-3 lead. Luckily, Spencer was quick on his feet and made the score 4-4, leading up to a nerve-wrecking last 10 minutes. Chris Hunter gave Brighton the lead yet again, but Kingston’s Ben Spencer was solid and scored the last equaliser, making him the game’s top scorer.